It is finally starting to warm up and World Golf Village is beginning to see the results of an exciting uptick in construction around the community! 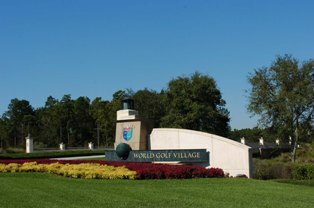 World Golf Village is currently adding new homes in three neighborhoods, each catering to buyers with their own unique lifestyle. In fact, residents will tell you that lifestyle is the essence of World Golf Village – along with our superb schools, safe environment, friendly and active community, and beautiful natural views. Just some of the many reasons why people choose World Golf Village for their next home. La Fontana is all about maintenance-free luxury and at-home comfort with amazing golf course views. The condo community located at the Residences has 52 units available with state-of-the-art amenities and features that allow residents to create a personalized, comfortable environment. Construction is set to begin this spring and La Fontana’s first building is targeted for completion in late fall. La Fontana will reflect the same architecture as the existing Residences buildings, but residents will notice more features and enhanced layouts. Buyers may choose from a 3 bedroom/3 bath layout (1,900 sq. 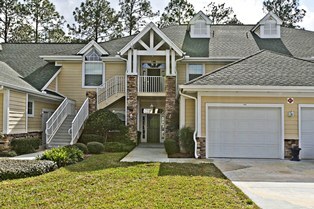 ft.) or 4 bedroom/4 bath layout (2,400 sq. ft.). Each unit will incorporate stylish, defining elements including a customizable fireplace, modern fixtures, and a fully enclosed garage and screened-in lanai in each unit. The crown jewel of La Fontana is its impeccable views from every unit. The neighborhood’s residents have access to the Residence’s fully renovated clubhouse, Olympic sized swimming pool, Jacuzzi, and fitness center. Stop and see La Fontana’s stunning model unit to catch a glimpse of your future home! Contact Mirtha Barzaga at mbarzaga@davidsonrealtyinc.com or 904-940-5000. 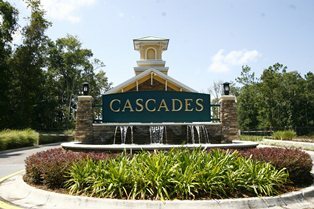 The Cascades is an active adult community for residents ages 55 and up who are seeking a lively lifestyle and a beautifully designed home. Buyers have the choice between 26 available new homes, including one inventory home, three permitted homes (which can be built in 100 days or less), and 22 “to be built” homes – which let the buyer select from the available lots and choose from nine luxury floor plans. Every Cascades home offers either two or three bedrooms, home office, screened lanai, and paver patio & driveway. Square footage ranges from 1,700 to 2,500 sq. ft. The views from the remaining lots include water, conservation, and nature preserve. The Cascades is a secure gated community with landscape maintenance and irrigation, DirecTV, and security monitoring services provided by the HOA. Located just steps from the World Golf Hall of Fame and the Slammer & Squire golf course, the Cascades engages its residents with a full range of activities and state-of-the-art facilities. Amenities include a 38,000 sq. ft. grand clubhouse, sports complex, fitness center, indoor pool, and sauna. Residents also enjoy the outdoor main pool, large tennis facility, and bocce ball courts. A full-time activities director is dedicated to planning ongoing activities. Contact Jock Ochiltree (904-501-4625, Jock@DavidsonRealtyInc.com) or Leah Ochiltree (904-501-3722, Leah@DavidsonRealtyInc.com) for more information. If you’re looking for more living space, as well as impeccable design and magnificent natural scenery, put the King & Bear at the top of your list! The community’s builder Emerald Homes currently has 26 lots available in Oakgrove Estates. Among the largest in the King & Bear, the lots include serene views of either the King & Bear golf course or conservation areas. The home designs feature dramatic living areas, gourmet gathering kitchens, spa bath retreats, and opulent outdoor living spaces. Emerald’s home styles range from brick traditional to French country designs. Residents have access to a community clubhouse with swimming pool, tennis courts, patio verandas, and children’s play area. Also, the King & Bear golf membership initiation fee is included with every home, as well as full membership initiation fees for the Serenata Beach Club. Contact Mirtha Barzaga for more information at mbarzaga@davidsonrealtyinc.com or 904-940-5000.